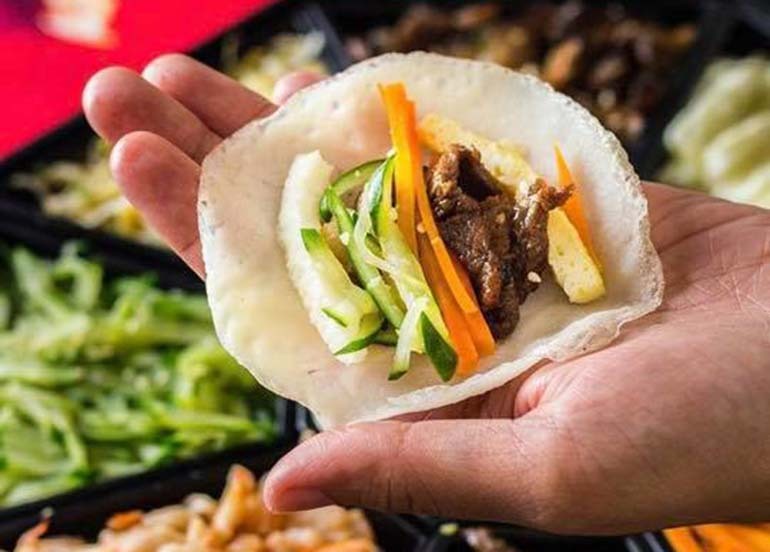 There’s no denying that Korean culture has a huge influence here in the country from their music (K-Pop) to their television series (K-Drama) and fortunately enough, their oh so delicious cuisine. If you’ve been having Korean cravings lately, we’ve got you! 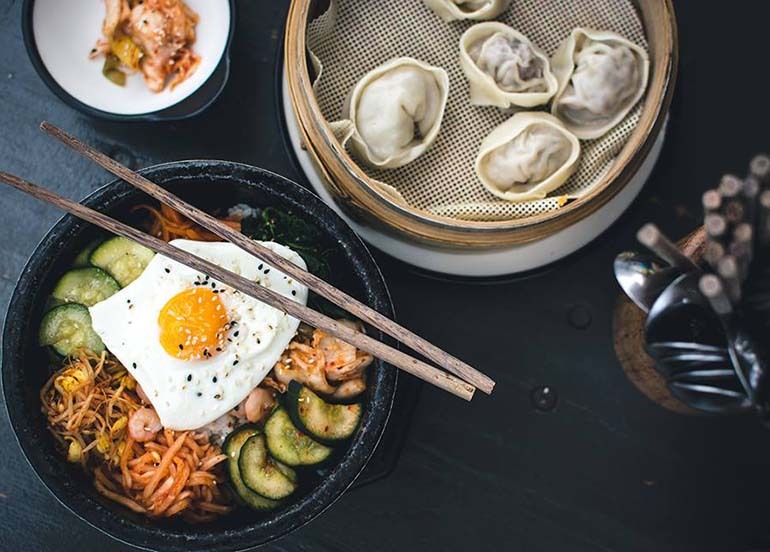 We’ve come up with this ultimate Korean restaurant list to make it easier for you to choose so you’ll have more time eating and less time searching! 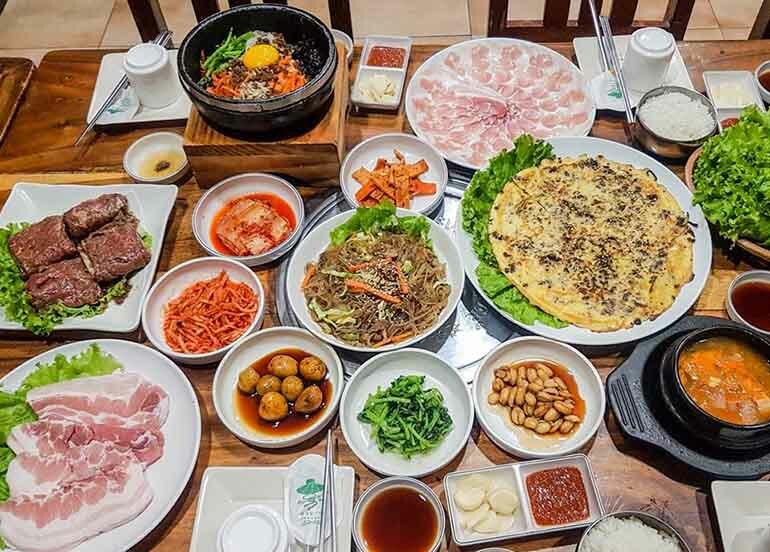 One of the best things of Makati is their melting pot of cuisines so you’re sure to find a number of Korean restaurants and some of them are even open late at night. Traffic can get terrible in the area but the food here definitely makes up for it. RJ’s Korean Bowl-Gogi serves Korean favorites like beef bulgogi, ramyeon, bibimbap, samgyeopsal, and many more at affordable prices. An underrated Poblacion find, Min Sok is owned by a Korean couple and serves authentic Korean specialties. Meals start with the traditional banchan appetizers and a bulk of it is their delicious grilled meats. Dong Won Korean Garden – Polaris Corner Jupiter St. 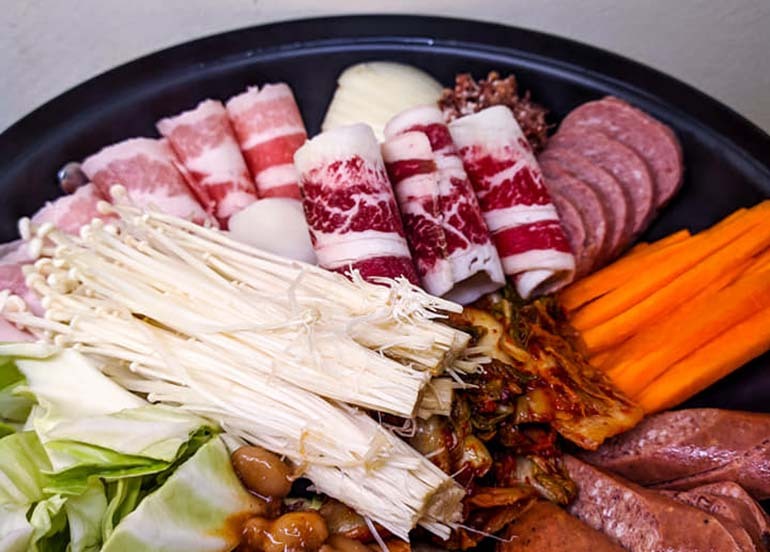 Unlike most KBBQ restaurants which are known for all-you-can-eat promos, Dong Won is the ideal restaurant for those with a smaller appetite. You can order ala carte and although the portions here are smaller than average, don’t be fooled. They do not fall short on quality and authenticity. Far away from the mall-crowd, Bornga is not your usual Korean restaurant. 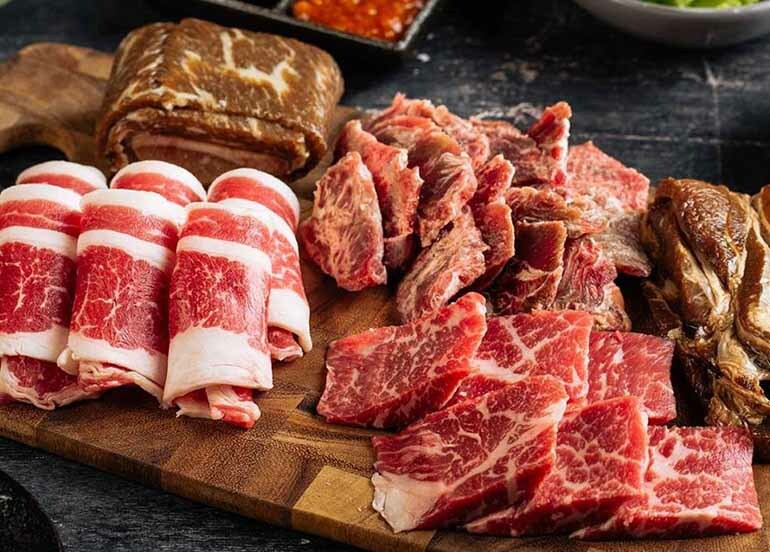 They don’t serve buffet but instead focus on the quality of their ingredients— they have an impressive variety of greens and generous cuts of the meat. Korea Garden – Jupiter St.
Korea Garden is one of the longest standing Korean restaurants in Makati, if not the whole Metro Manila. If you notice, their parking is always full so it’s best to arrive a bit earlier than usual. 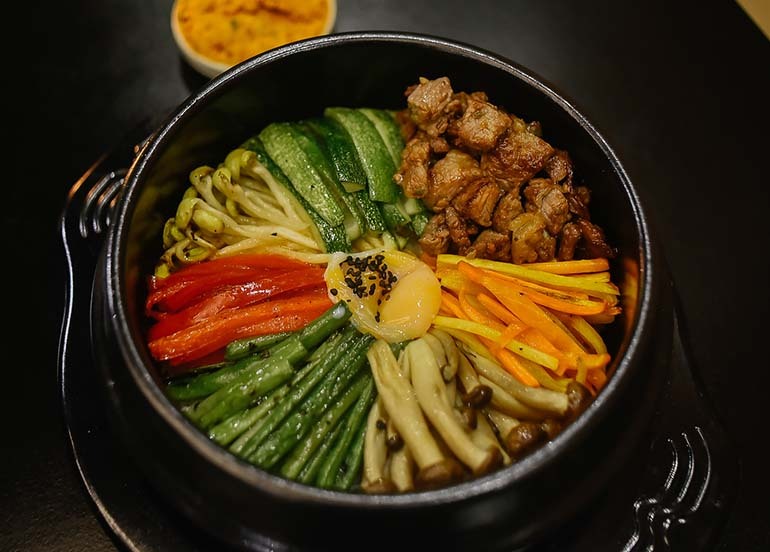 Taguig is slowly but surely growing its arsenal of restaurants and now already has a number of Korean restaurants up their sleeve from barbecues to fusions, you’ll be surprised to see what Taguig has in store. Namoo House is the local franchise of Maple Tree House, a popular Korean BBQ restaurant from Seoul, Korea. 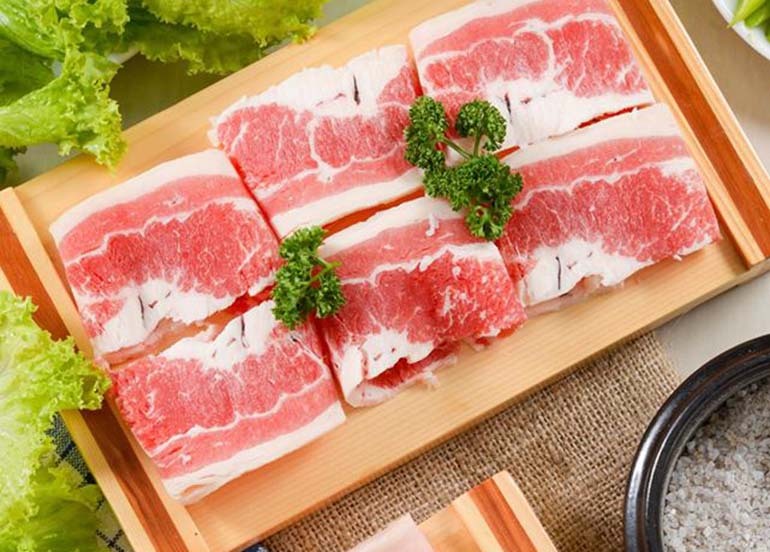 It offers value-for-money premium meat cooked on charcoal grill. 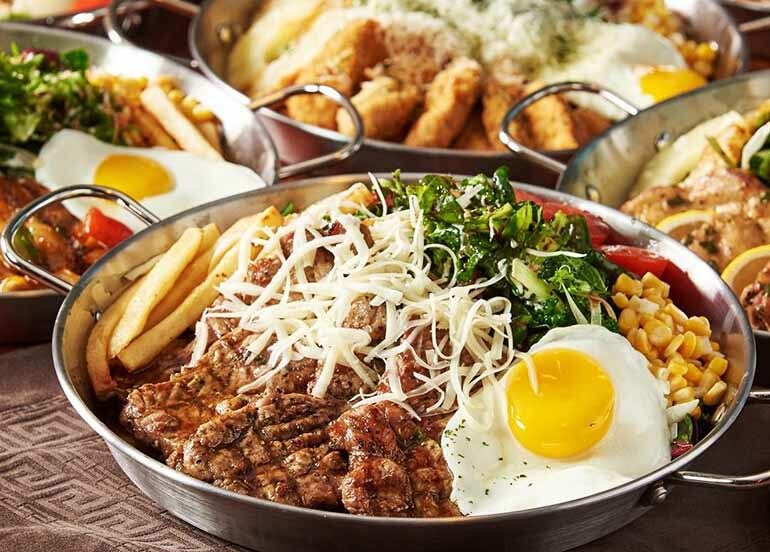 The Cook is a new restaurant concept serving Korean-Italian fusion dishes like Bacon Carbonara, Spicy Chicken Steak Salad, Seafood Olive Spaghetti and more. 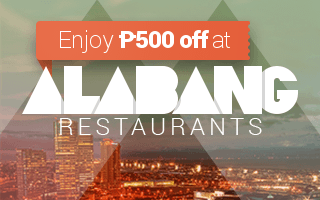 Pasay is home to one of the best known Korean restaurants chains such as Gen Korean BBQ House. 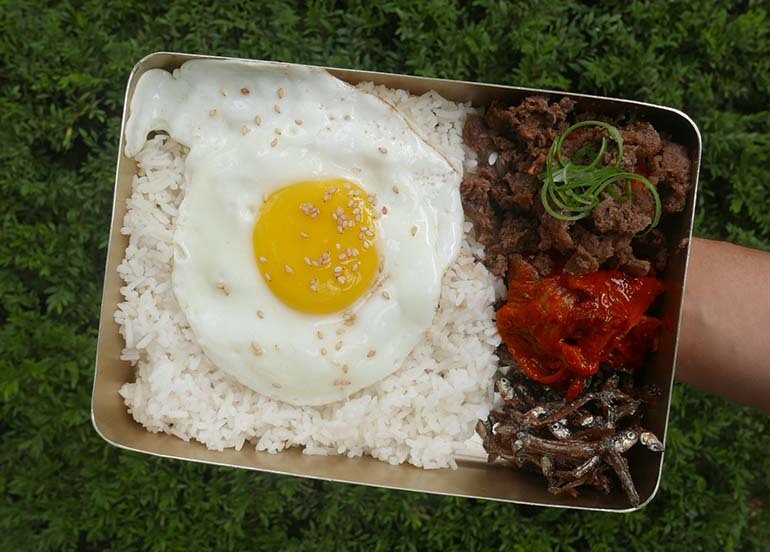 Whether you want to grill-all-you-can or have bibimbap, you can find it at Pasay. 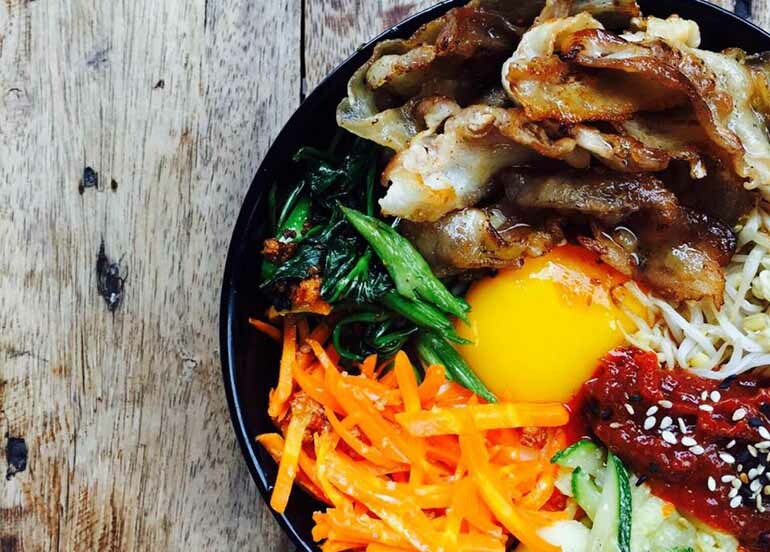 Craving for Bibimbap? Japchae? Or some samgyupsal? You can get all that at reasonable prices at BibimHaru Korean Restaurant! 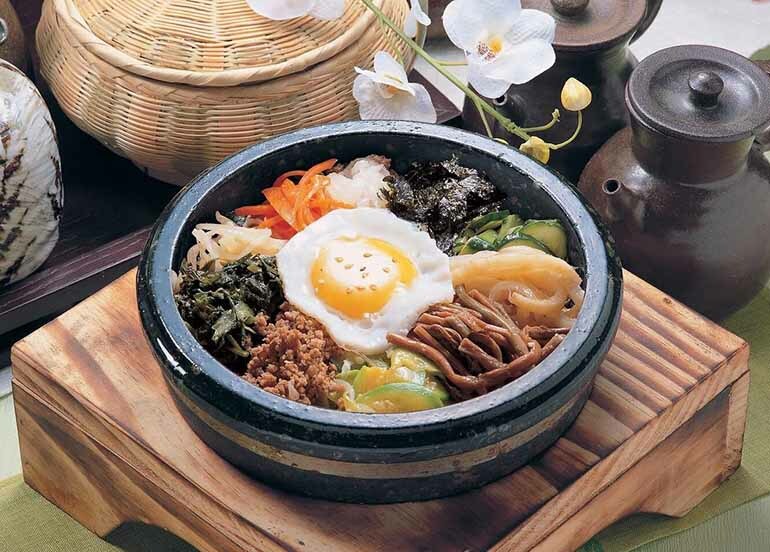 They have different kinds of Bibimbap to choose from such as the Seafood Bibimbap, Beef Bulgogi Bibimbap, Fish Fillet Bibimbap and of course Classic Bibimbap that started it all. So say haru to the bibimbap of your choice! 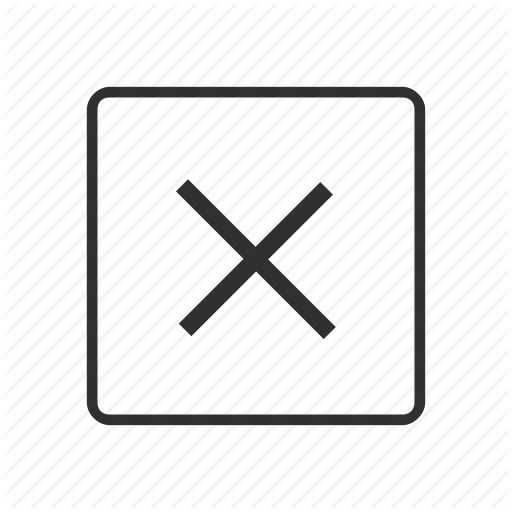 Gen is a popular Korean restaurant chain from Los Angeles, California. 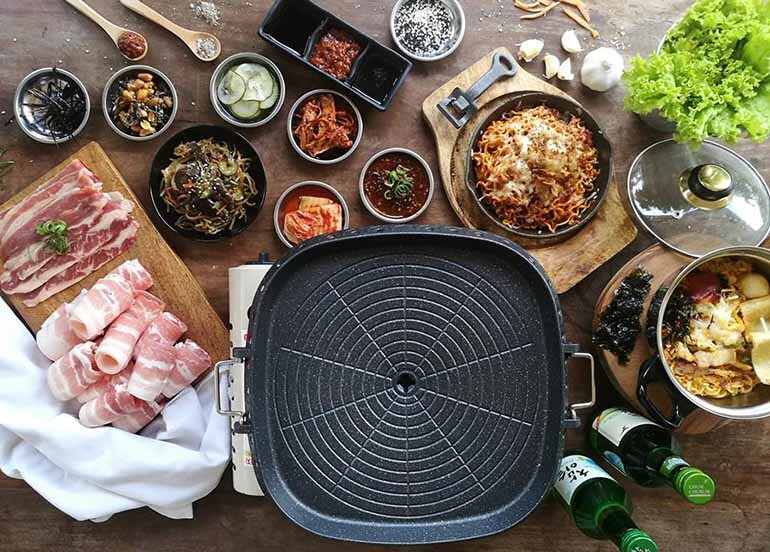 Best known for its grand grill-all-you-can experience, you can feast on premium samgyupsal (pork belly), chadol (beef brisket), seafood, and more, because you’ve got 20 meat options to choose from! 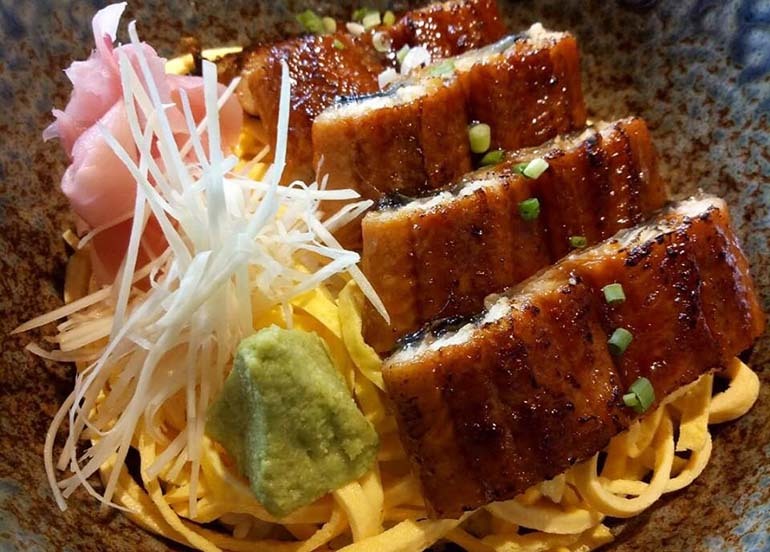 Jin Joo is a restaurant that’s ready to bring something fresh to the table. When you’re finished taking photos of their industrial interiors, neon-lit signs, and pastel furniture, feast your eyes on their famous Jin Joo 8 Flavors with samgyeoupsal in Honey Garlic, Wine, Curry, Herb Soybean, Red Pepper, Nutty, and Smokey BBQ! 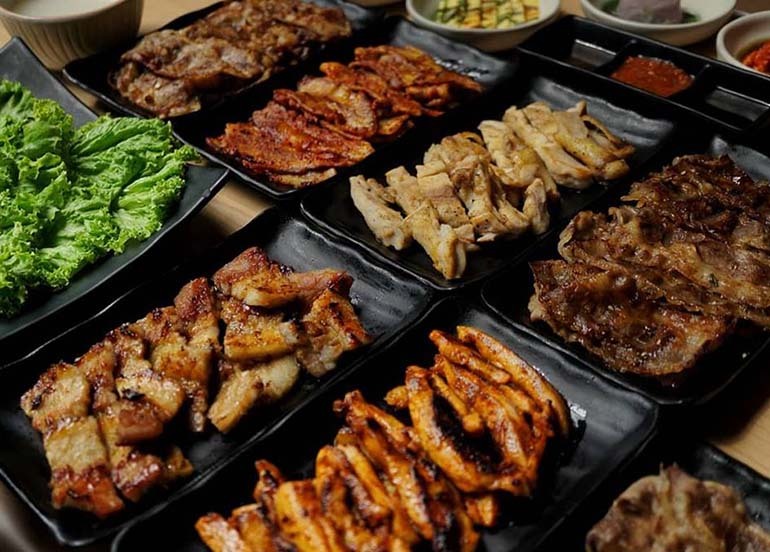 Parañaque has a number of Korean places that are quite unique compared to the usual unlimited grills. 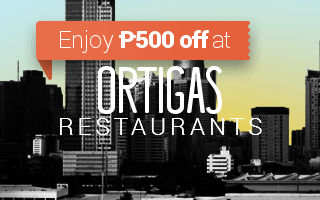 They do have our favourite grill-all-you-cans but if you want a breather to try something new, Parañaque’s got it. 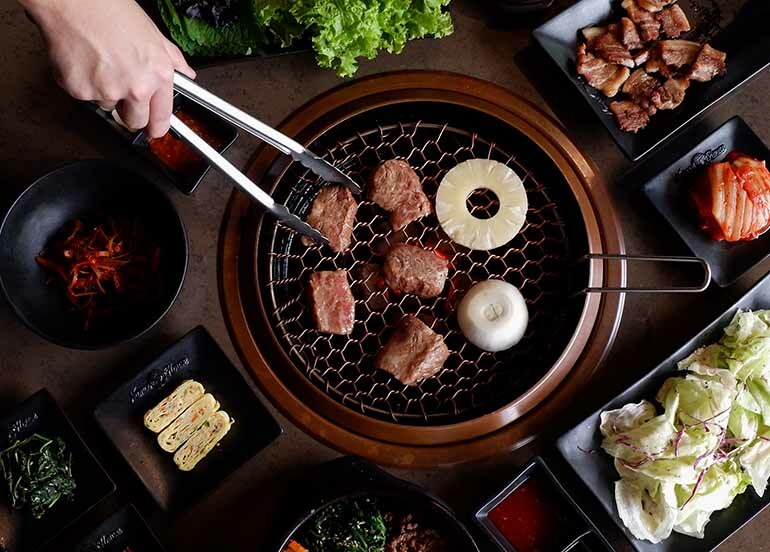 Far from your usual Korean dining experience, Kiwa Korean Grill is more of an upscale version, serving some of finest traditional Korean dishes and other artisan creations by their world-class Korean chefs. 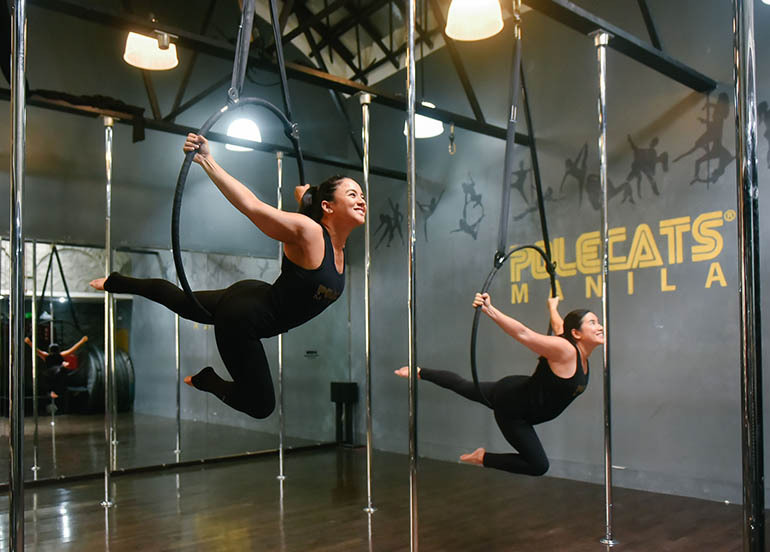 Big Mama Korean Restaurant serves delectable Korean food that makes you feel like you’re at home – only with a wide range of options offered a room away. 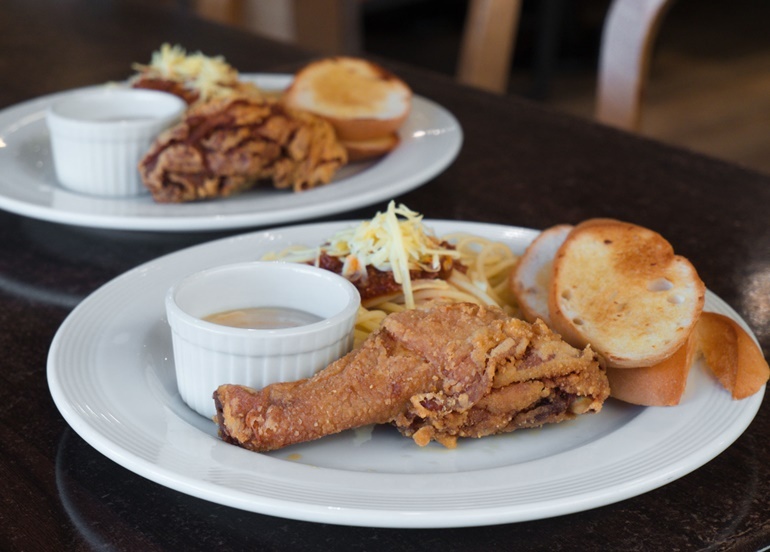 So whether you’re in the mood for samgyupsal or some good fried chicken… feast away! 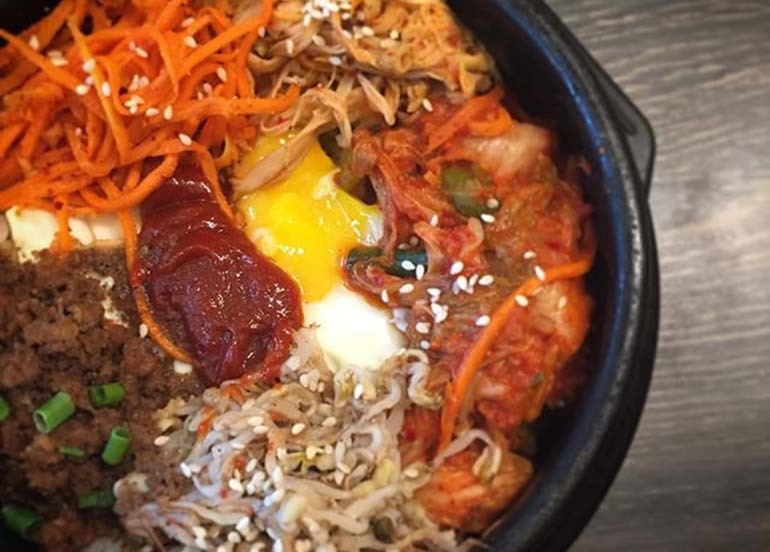 If you’re in the area, you don’t need to go far to satisfy your Korean cravings. 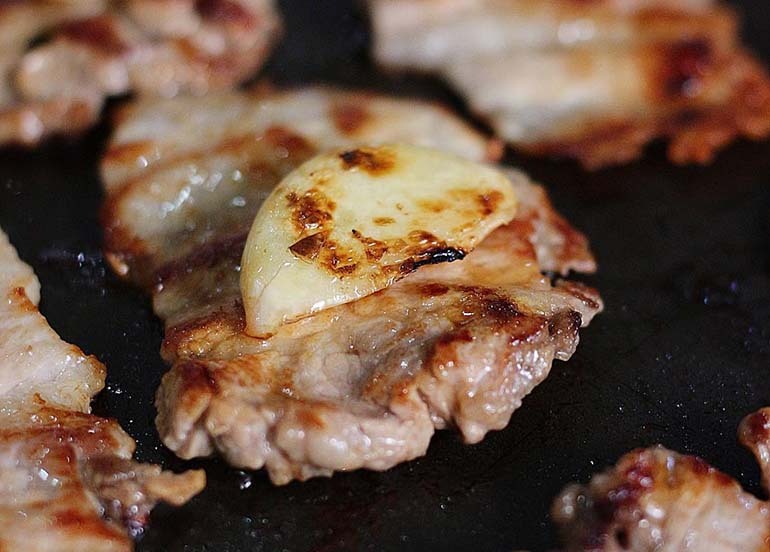 Muntinlupa has a bunch of Korean restaurants just waiting for you to try. 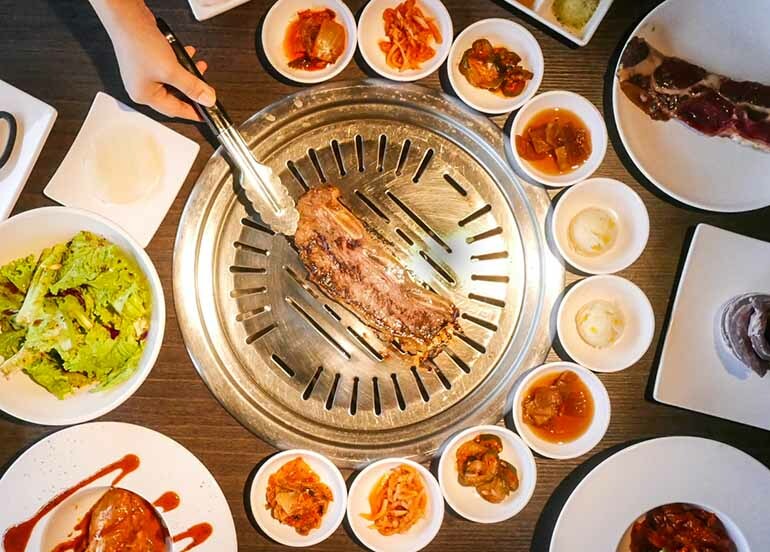 True to its name, Meat Here Unlimited Korean BBQ offers a no-fuss unlimited Korean dining experience at affordable rates. 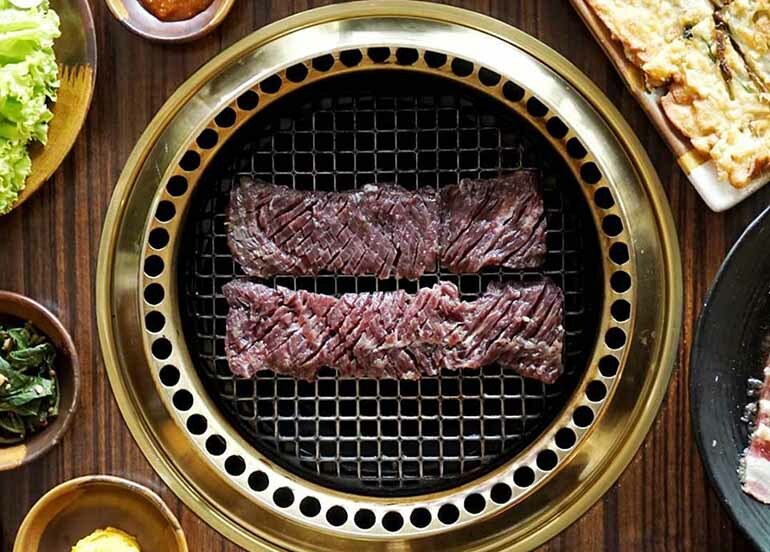 Inspired by “K-Town” communities in L.A, New York, and Hong Kong, Soban offers unique Korean-Mexican fusion dishes. 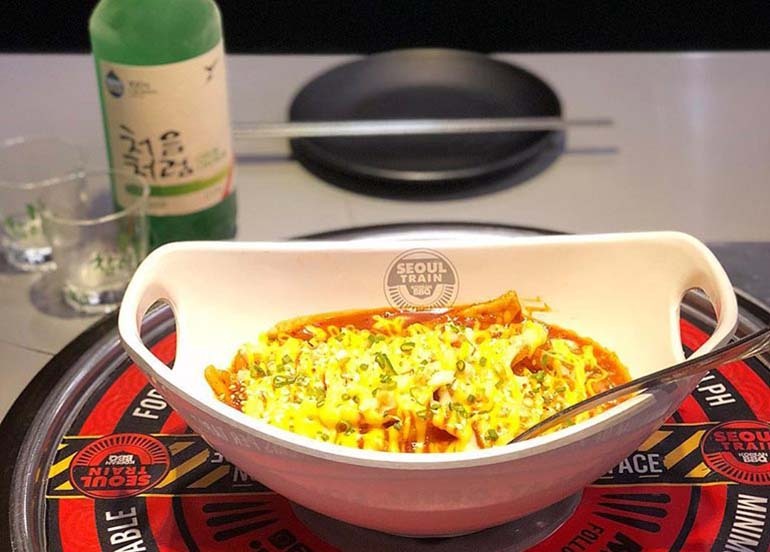 People from the South have been raving non-stop about this Korean restaurant in Alabang and we heard that they serve some of the best Korean beef stew they’ve ever tasted! 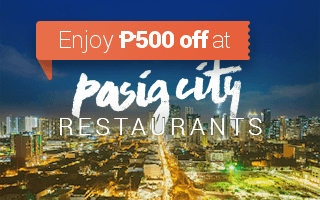 Pasig is probably the city with the most Korean restaurants and some are even at close proximity with each other. 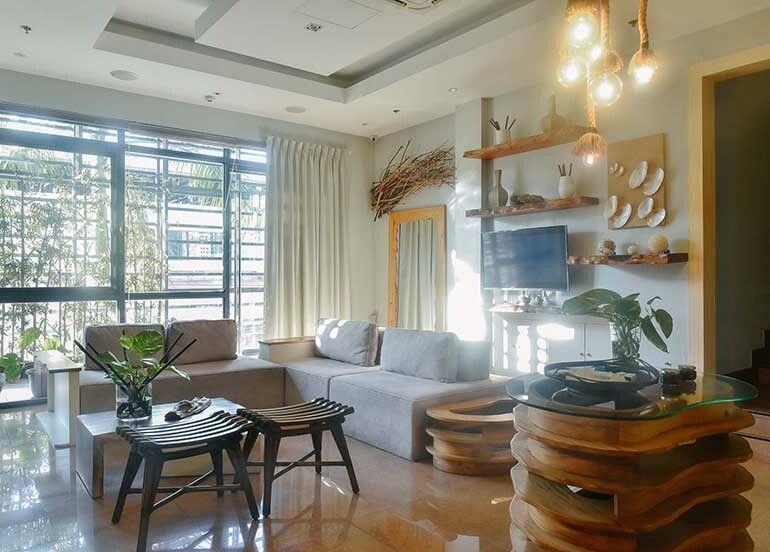 If you’re still not sure on where to eat, you could just walk around Pasig and see an abundance of choices right in front of you. 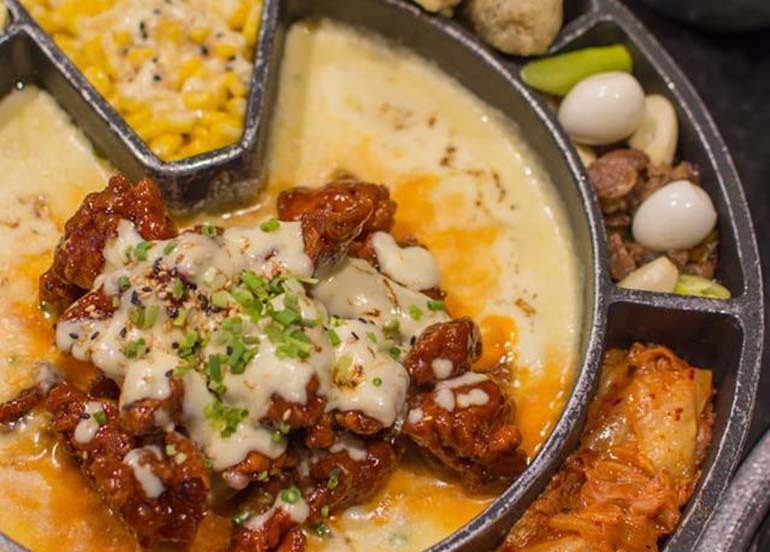 Owned by Grace Lee, Kko Kko is a modern restaurant that serves authentic and reinvented Korean favorites such as their Dosirak, Cheese Fondue, and Snow Chicken. Read our full feature here. Sibyullee, being the third concept of the Happy Foods Group and award-winning Korean restaurateurs Mr. Sung Rah and wife, Mrs. Yoo Chang, They serves modern Seoul BBQ and street food dishes. 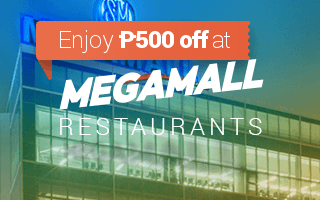 Ye Dang – Meralco Ave.
Ye Dang serves some of the most delicious marinated grilled meats in the city. Each meat platter comes with bountiful banchan and your choice of lettuce or rice, so full bellies are a guarantee. Lee Hak is an affordable Korean buffet that offers DIY Korean BBQ as well as around 100 different ready-made meals and appetizers. The smokey aroma of samgyupsal and chadolbagi will welcome you as you enter, so make sure you have a spare change of clothes or don’t have other plans after eating. 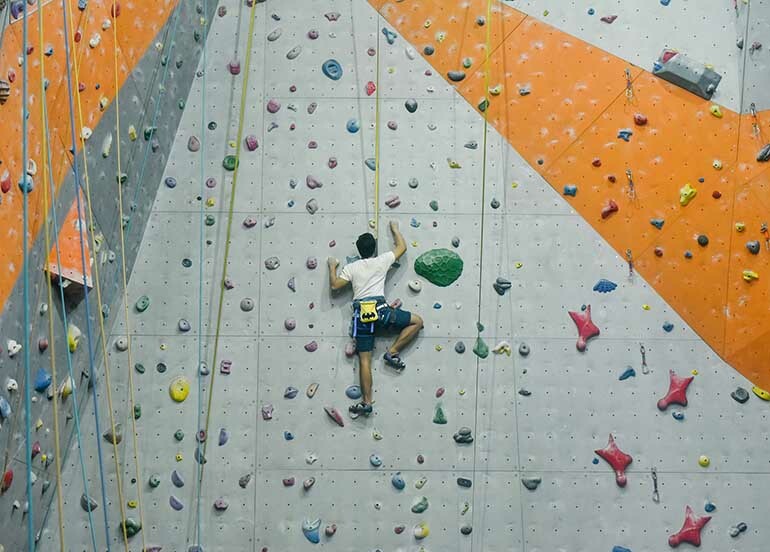 Quezon City is vast so you can be sure to expect this list to keep growing. 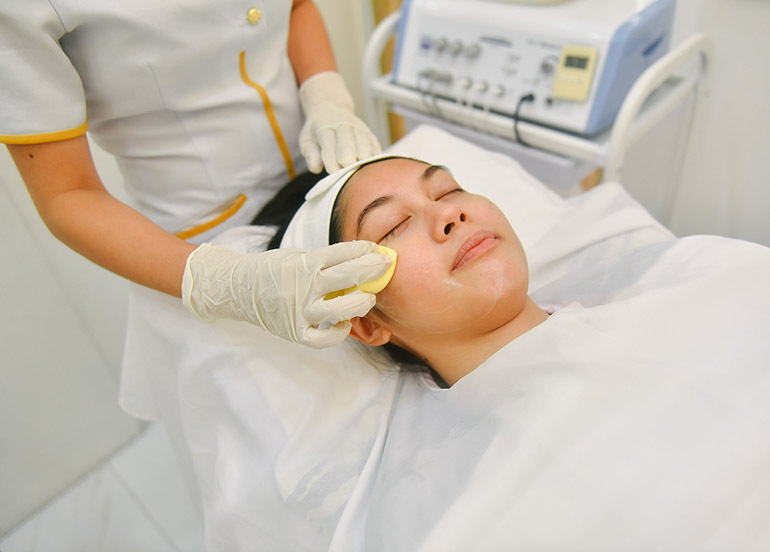 The city has many pockets of food-filled areas such as Tomas Morato and Maginhawa that it’s impossible not to spot a good Korean restaurant. Seoul Train Korean Barbecue is a locomotive train-themed Korean restaurant that serves fresh OMI chateaubriand, A5 Saga, Kagoshima beef, and USDA beef. They also have 5-6 red wines on pouring to match with their grilled meat and other classic Korean dishes. 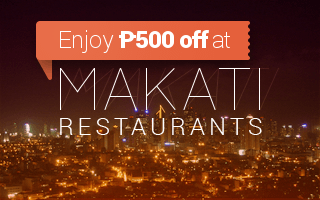 It’s almost impossible to talk about food in Quezon City without mentioning the Maginhawa area, and MOKJA has got Korean cuisine covered! 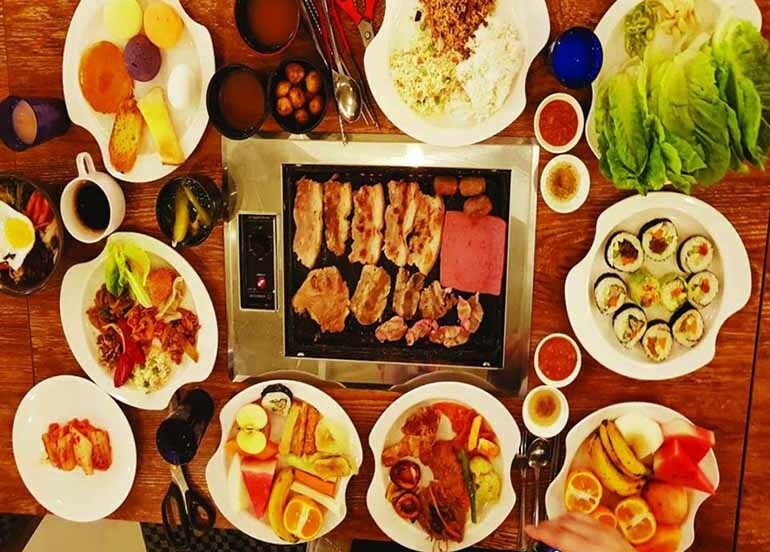 This Maginhawa restaurant has become beloved by the neighborhood because of its authentic and affordable Korean buffet that keeps people coming back for more. They now also have a branch in Banawe. 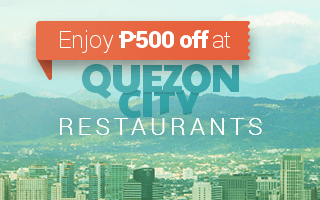 San Juan is bustling with new eats and classic restaurants way beyond the Greenhills area. 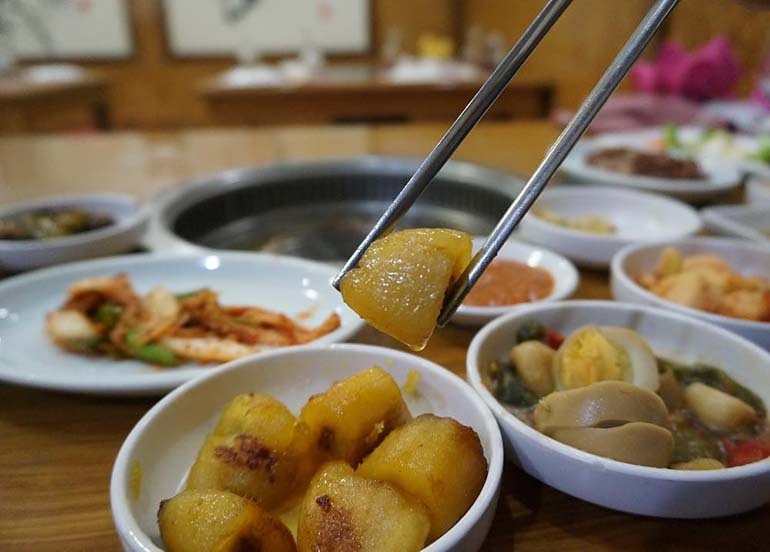 It’s also home to some of the most well loved restaurants such as Sodam which is almost synonymous already with “Korean” if you’re from around the area. 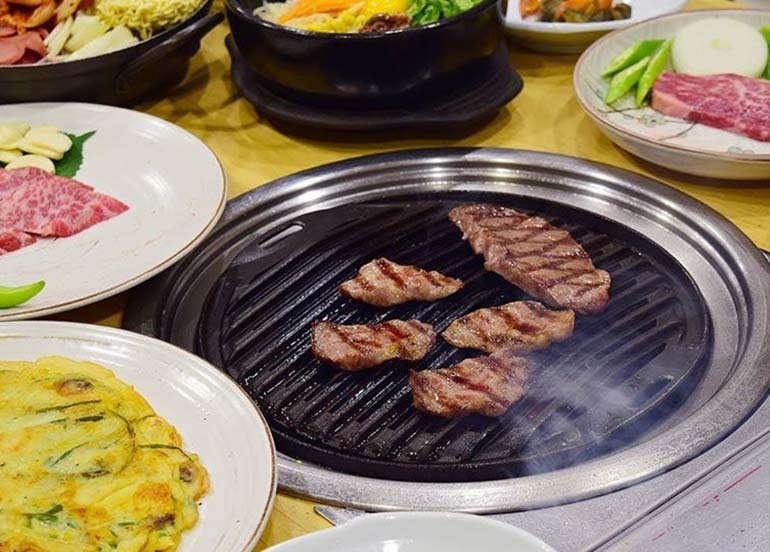 Sodam is an authentic Korean buffet best known for its all-you-can-eat grilled meat dishes and other cuisine staples. 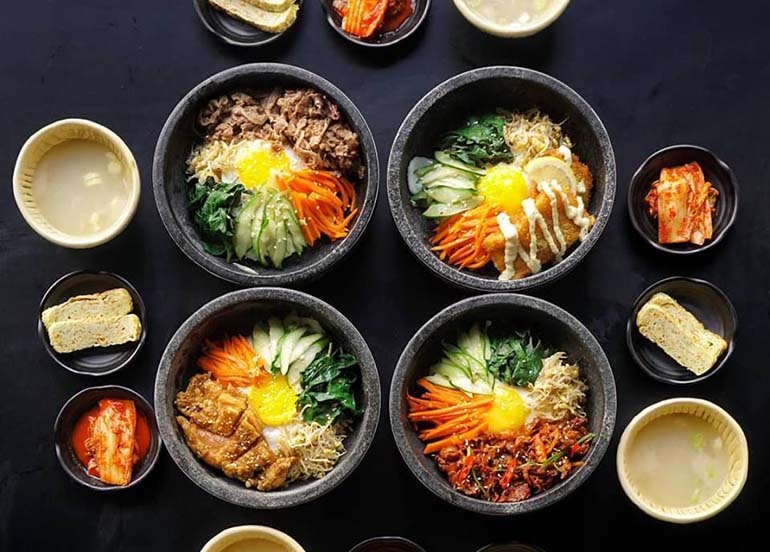 You could bookmark this article as we’ll continue to keep updating this list to give you the latest on Korean restaurants around the metro. 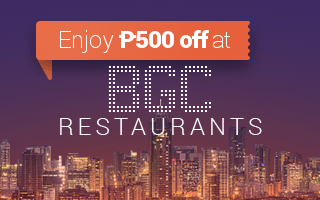 Did you know that with the Booky app, you can type “PASIG” and other locations to search over 100 restaurants in the area. 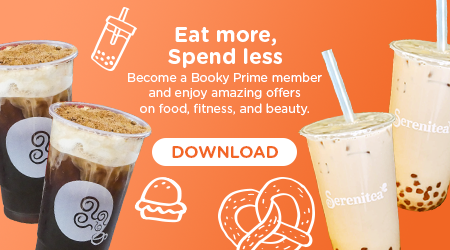 If you spotted a new restaurant near you, shoot us an email at support@phonebooky.com with all the details.